LAKEWOOD, Colo. – Each month, the Colorado Department of Agriculture features a different commodity to highlight the variety and quality of products grown, raised or processed in the state. 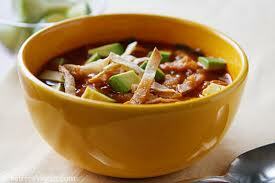 This month, Colorado beans are featured in our Pinto Bean, Vegetable and Tortilla Soup recipe. Colorado produces a wide range of bean varieties including pinto, light red kidney and black. In 2010, Colorado ranked eighth nationally in dry bean production with 125 million pounds, valued at $30 million. Beans are high in protein and fiber and low in fat, calories and sodium. A diet including beans may reduce the risk of heart disease and certain cancers. Look for Colorado beans at your local grocery store or at restaurants across the state. Heat a large stock pot on high heat. Add the oil and heat, then add the onion, celery, carrots, zucchini, red and green bell peppers and sauté for approximately 10 minutes or until lightly browned. Add the garlic, jalapeno and tortillas and sauté for 1 minute. Stir to ensure the tortillas soften slightly. Add the tomatoes and stock and bring to a boil. Reduce to a simmer then add the seasonings and beans. Adjust seasoning to desired taste level. Simmer for about 30 minutes. Sprinkle the Masa on the surface of the soup and stir in to help thicken. Turn off the heat and add the chopped cilantro. Serve with grilled corn tortillas or garnish with shredded Pepper Jack Cheese and tortilla strips. Enjoy with a Colorado wine, such as a glass of Pinot Gris from Garrett Estate Cellars, located in Olathe, Colorado.